Friedrich Kittler was one of the world’s most influential, provocative and misunderstood media theorists. His work spans analyses of historical ‘discourse networks’ inspired by French poststructuralism, influential theorizations of new media, through to musings on music and mathematics. Always controversial and relentlessly unpredictable, Kittler’s work is a major reference point for contemporary media theory, literary criticism and cultural studies. This is the only book of essays currently available in English on an important thinker whose influence across disciplines is growing. The volume situates Kittler’s ideas, explaining and critiquing his sometimes difficult writing, and using his theories to undertake innovative readings of old and new media. It also includes previously untranslated work by Kittler himself. Contributors include Caroline Bassett, Steven Connor, Alexander R. Galloway, Mark B. Hansen, John Durham Peters and Geoffrey Winthrop-Young. "In this book, Kittler is painted as a forceful post-humanist thinker. His achievements include expanding what media theory can be through his pursuit of non-disciplinary energies. The contributors to this volume acknowledge this aspect of his work, which alludes to art, philosophy, science, and other modes of cultural production in an ‘eye-popping manner’. Kittler nonetheless defies familiar understandings of interdisciplinary research and challenges established research models. The best essays in this volume practice such an expanded form of humanities research." "Friedrich Kittler was one of the most daring intellectual figures of the late-20th/early-21st Century. This brilliant collection of essays responds to his ground-breaking work on media, mathematics, music, poetry and war. It is a must-read for anyone seeking to question the status of the ‘human’ in a world populated increasingly by media and machines." "Kittler's radical intervention in the Humanities has long been one of Anglophone academia's best kept secrets, partly because as a chain-smoker he disliked traveling on planes, and partly because much of his work has yet to be translated from German. This welcome volume not only offers two essays by Kittler himself, the other contributions here, by some of the most vitally important media studies scholars today, help import Kittler's provocations to the history and theory of cultural technologies into English-speaking academic discourse." "While media studies are currently strengthening their impact on the critical debate in the Anglophone world, it remains an open issue how to describe their specific question and, hence, their place in the humanities. Friedrich Kittler has been one of the few where to look for a comprehensive answer. This is the one point the volume addresses, beginning with the excellent introduction to Kittler’s work by the editors. 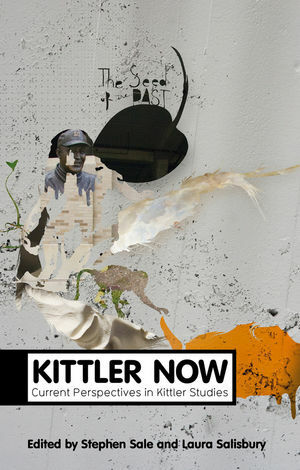 Even more important in Kittler Now is, however, how his work is debated and adapted, critically modified and in some respects even radicalized in the ongoing, new, reception in England, the US and elsewhere. The volume presents engaged and competent essays which unfold Kittler’s famous “question of technology” to the humanities in often unexpected and critical, in very different and yet always exemplary ways." "Friedrich Kittler's media histories changed German media studies profoundly. His legacy has been felt across Europe.This collection brings together some of the best scholars on Kittler to assess and develop his work, and to place it against contemporary English-speaking media theory and philosophy. Especially valuable is a section on Kittler's late work on music and mathematics, including two of his own essays from that still untranslated body of work. Rather than place Kittler historically, the authors bring his questing, testing method to life for the next generation." In this book, Kittler is painted as a forceful post-humanist thinker. His achievements include expanding what media theory can be through his pursuit of non-disciplinary energies. The contributors to this volume acknowledge this aspect of his work, which alludes to art, philosophy, science, and other modes of cultural production in an ‘eye-popping manner’. Kittler nonetheless defies familiar understandings of interdisciplinary research and challenges established research models. The best essays in this volume practice such an expanded form of humanities research.